The death of the written word continues apace, with Twitter giving brands the ability to build campaigns targeted by emoji. Introduced, apparently, to celebrate World Emoji Day on July 17, the new function would allow a burger brand to target someone who had tweeted a burger emoji. It doesn't just need to be food – brands can also target users based on whether they have used a facial expression or any other kind of emoji. Durex might target those who had tweeted an aubergine emoji, for example. Twitter suggests targeting users "based on their expressed sentiment" and their "passions". 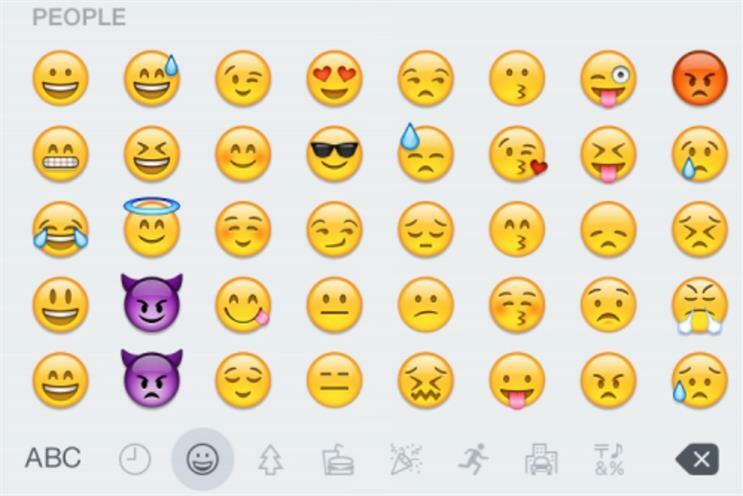 According to the company, its users have tweeted 110 billion emojis since 2014. Advertisers keen to trial the new targeting technique can work with one of Twitter's partners, including AdParlor, Amobee, HYFN, Perion, SocialCode, and 4C.